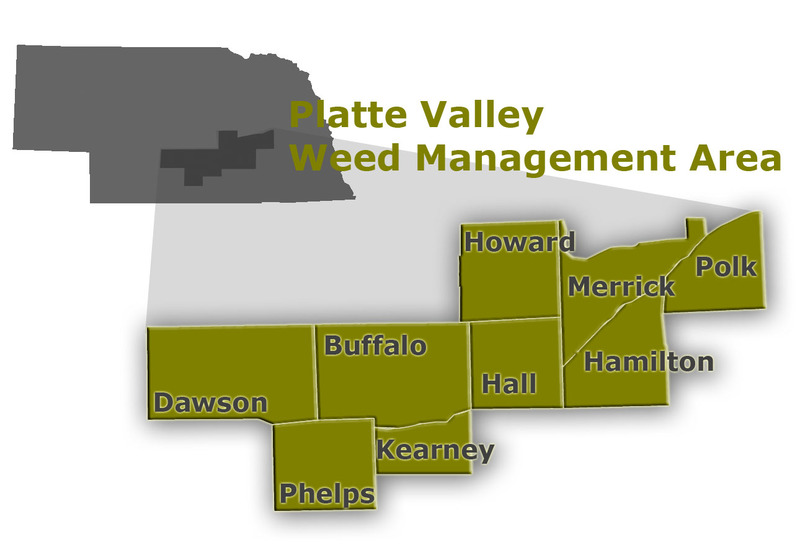 The Platte Valley Weed Management Area (PVWMA) is a group of public and private agencies and individuals who are concerned with stopping the spread of noxious and invasive plants located in the Central Platte River drainage area. The PVWMA is located in the Platte River drainage corridor in 10 Counties of South Central Nebraska. The area consists of lakes, streams, creeks, ponds, and wetlands that drain into of have an impact on the Platte River. Facilitate cooperation and coordination among all land managers and landowners to identify and manage noxious and invasive plants along the Central Platte Valley. Develop Education programs to further the efforts of the PVWMA.